Entrust Inc. has been selected to deploy its security solutions for Finland’s Population Register Centre. After implementing its Extended Access Control (EAC) e-passport solution more than two-years ago, Entrust has begun deployment of its Single Point of Contact (SPOC) infrastructure for e-passports. This SPOC technology is the standard method for certificate management between countries for support of EAC-enabled e-passports, which enables a country like Finland, with this system, to communicate directly between SPOCs for international EAC certificate requests and responses. The solution is part of the Entrust Authority public key infrastructure (PKI) platform, and enables transition from first-generation e-passport deployments to second-generation architectures. The Population Register Centre stands as the national Certification Authority services provider, creating electronic identities for Finnish citizens with the use of identity codes. Additionally they provide eIDs for government employees. As the only Certificate Autority in Finland that issues qualified certificates as specified in the Act on Electronic Signatures and the relevant EU Directive it is the provider of the first generation of e-passports in Finland. The Finnish Population Register Centre anticipates having the SPOC up and running in production by the end of the year, with the intention of running further tests. 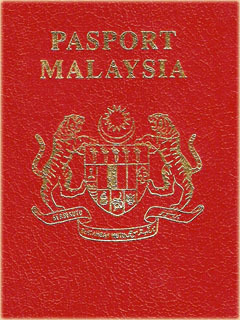 This type of e-passport security from Entrust has been deployed in governments around the world, including the U.S., Finland, Croatia, Slovakia, Slovenia, Singapore and New Zealand.